I have watched Qiana for almost a year now, and I love the work she is doing. She not only has the hottest online and in-person book club today, but she also advocates to raise money to help struggling mothers, and the elderly. She is currently working on purchasing bottled water for those affected by the recent water crisis in Flint, Michigan. She is an amazing lady. It is with pleasure to introduce to you, Qiana Drennen. 1) Were you born and raised in Ohio? Yes, I born and raised in Columbus, Ohio. I actually still live in the house I grew up in. My parents purchased it when I was four years old. Wonderful. I come from a two parent home with loving parents. My father owned his own business and my mother was a stay at home mom. My parents were not only parents to me and my six siblings, but to anyone else that we brought around. It was nothing for me to come home to see one of my (or my siblings) friends at my house eating or just hanging out. 3) When did you begin reading? I began reading when I was in the fourth grade. My school librarian, Mrs. Hunt put the book in my hand after my teacher read it to the class. 4) Do you remember the first book you ever read? If so, what was it? Not only do I remember the first book, but I still own a copy and read it every year. Roll of Thunder Hear My Cry by Mildred D. Taylor. 5) Who are some of your favorite authors and why? My all-time favorite will always be the late great Jackie Collins. No one can tell a story like her. Her writing was raw, gritty and in your face. I’m getting teary eyed just thinking about how great she was and why her passing is such a huge loss to the entire literary world. Fabiola Joseph is another. Some people may think that I’m being bias because she’s not only an author but a dear friend of mine. But even before we became friends I would tell everyone that she’s the most versatile writer in the game. Nothing is never the same with her. Everything she writes is completely different. And now that she’s signed to a major, the world will get to see what I already knew. 6) What are some of your all-time favorite books? 7) When did you begin DRMRAB? What propelled you to start it? DRMRAB actually started in 2013. But I didn’t really put any effort into it. It had became just a place to drop links. However, in December 2014, Fabiola convinced me to revamp the website and put more into. And I did. It was some of the best advice I’ve gotten. I’m so thankful for her pushing me to do it because it has been a huge success. 8) What is your vision for DRMRAB? I would love for DRMRAB to go global. It’s not only a Facebook club, I also have in-person chapters here in Columbus, DMV, and New York City. So I know it’s possible. 9) What do you believe sets your book club apart from any other? Honestly, I think it’s the members . Our members are RAW, they will not sugar coat anything. Also, I think it’s the fact that we actually discuss books. Most book clubs don’t anymore. We host at least six book discussions a month, sometimes more. Last, but not least, my admins. Tyresha Tyler and Jocelyn Boffman have been there with me from day one. I will forever be grateful to those two ladies. Also, my other admins Tonya Woodfolk, who I handpicked when I decided to revamp and is a big part of the way the group has turned around. Lenika Winfield and Kia who just came on board just a couple of months ago, but their presence has already made a difference. Fabiola Joseph also. She helps me so much behind the scenes, and I really appreciate her. 10) Lastly, with the amount of books you’ve read, do you see yourself penning a book any time soon? Ha ha ha. I’m asked this a lot. I’ve started writing a novel maybe three years ago, but it’s not in my heart to write. I see myself more as a behind the scenes type of person. Or maybe even a Oprah style talk show that caters to Afro American authors. BIO: Qiana Drennen was born and raised in Columbus, Ohio. She is the mother of six children and one granddaughter. She holds a business degree, and a certification in Chemical Dependency. When she is not reading, you can find her traveling from city to city attending different book events all over the country. In 2013, she broke away from one book club and with the help of others, formed ‘Don’t Read Me, Read A Book!‘ (the reading room). In 2015, Ms. Drennen turned the Facebook club into in-person chapters which meets on a monthly basis. In the future, she would like to have her own talk show that caters to authors, and travel to do interviews with them. You can find Qiana Drennen on DRMRAB, Facebook, Twitter and Instagram. Kisha and I connected on Facebook and then finally met at the Black Pack Party in Harlem last May. I loved her genuine, sweet and kind spirit. I not only am grateful to call her my colleague, but also my friend. I have the utmost respect for her and all that she contributes to the publishing industry. It’s with great pleasure to introduce to you, the multi-talented, Kisha Green. 1) Were you born and raised in New Jersey? Yes, I was born in New Jersey and at the age of two, I moved to Richmond, VA with my mom only to return at age eleven after my grandmother died and have been in New Jersey since. 2) When did you start being interested in reading and writing? I have always been an avid reader thanks to my mom. As an adolescent I enjoyed books by Judy Blume and Beverly Cleary and then graduated to the Babysitter’s Club series and then once in high school, I started reading books by VC Andrews, Mary Higgins Clark, Jackie Collins and Stephen King. 3) Did anyone in your life influence or encourage you to read or write? My mom. I remember watching my mom come home from work, change out of her nurse uniform, cook dinner, eat and spend the rest of the evening reading. This was a daily ritual. 4) Do you remember the first book you read? What was it? Hmmm…It was story about a mouse and a motorcycle but I cannot think of the title. 5) Who are some of your favorite authors and books? Jackie Collins is my favorite author. Her writing is exciting and outside the box and I get swept away in her words, she was a creative story teller. May she rest in peace. 6) Did you read any books that helped you in writing? Some creative writing books and techniques about showing versus telling. 7) When was the pivotal moment when you decided to pursue your dreams? Even though I had self-published my first book in 2007, it was not until 2011 that I decided that I wanted to do promotions and literary consultations as well as assist authors. 8) Were you afraid? If so, how did you overcome your fears? I was initially afraid but I told myself failure was not an option and took a leap of faith. 9) When did you start your own business and what are all the things you offer in regards to your business? 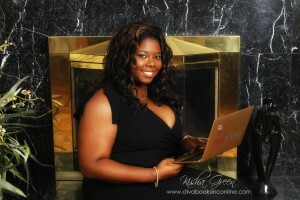 In 2006 DivaBooksInc was formed but it wasn’t until 2011 that I really took it serious and gave it my all. I wanted to provide quality services to authors and publishers at reasonable rates. 10) When did you decide to write your first book? In 1999, I read Flyy Girl by Omar Tyree and a year later I said I should write a book and tried to but shelved the idea and then picked it up again only to postpone it after my mom dying. Then going through an emotional rollercoaster of feelings regarding my writing a book to finally saying I was going to do it in 2006. 11) What did you learn from the process? I learned that hard work and patience pay off but most importantly you must remain consistent. 12) How many books have you written in total? I have written three full length novels, participated in four anthologies and one poetry book. I am currently working on my fifth anthology that is a collection of erotica stories. 13) Which one was the hardest to write and why? The hardest one was Dear Mommy which was my third book that tells my story of dealing with the death of my mom to a brain tumor. I self-published it through a print on demand back in 2008 and since then took the book down and have been working on it off and on to release again through my own publishing company. 14) Where do your ideas come from? Real life experiences of myself, friends and family and IDTV. 15) What is your writing routine or process? I write notes all the time and then sit down attempt to turn them into stores. I write at the most random times and can be anywhere. I write the best with my laptop and music playing. 16) How did you hone your craft? 17) You where many hats… between writing your own books, publishing other talent, promoting other talent, your talk show and blog… how do you manage and balance it all? The grace of God. I wear many hats and equally enjoy them all. 18) How long did it take you to build your business? Lol! I am still building. This is a full time job and I cannot stop especially when I am trying to create a legacy for my children. 19) What’s next for Kisha Green? This year I am entering the arena of publishing others and have signed two very talented authors that will be making their debut with DivaBooksInc this year and I am very excited about this new chapter in my life as well as helping these writers turn their literary dreams into published realities. I will take everything that I have learned from being a literary consultant, reviewer, radio show hostess, promoter, blogger and virtual assistant, and pour that into my authors while never giving up. 20) Lastly, what advice would you give to a novice writer? Do not give up! Do not worry about any one telling you no, when you can create your own YES! Kisha Green is no stranger to the literary world. She is the owner of DivaBooksInc, the author of several titles including the hit novel, And Even If I Did, literary consultant and promoter. As the host of Writer’s Life Chats, an online radio show, Green interviews aspiring and seasoned authors. Writer’s Life Chats has been nominated multiple times for Best Blog Talk Show, winning the title in 2010 and 2011. Green is also an avid reader and book reviewer whose reviews have appeared on Urban Book Source, Shelfari, Goodreads, Amazon and other notable sites. As a firm believer in “each one, teach one,” Green launched Literary Jewels in 2011, an online resource for aspiring writers interested in self-publishing. Green has also participated in numerous panel discussions on the topic of publishing. 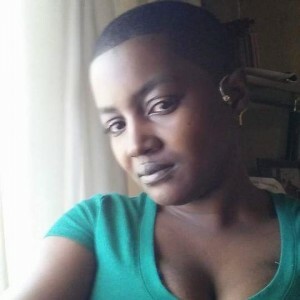 Currently Green resides in New Jersey and is a contributing writer for a number of sites, virtual assistant and promoter for various authors and is the recipient of the 2014 Literary Excellence Award presented by Black Pearls Magazine. You can follow her on Divabooksinc, Facebook, Twitter, and Instagram. I met Andi Cumbo-Floyd on Twitter in 2012, and then had the pleasure of rooming with her at the Quitter Conference in Nashville. She is an amazing woman who has achieved her dreams by the help and grace of God. Not only is she a talented writer, editor, teacher, mentor and coach, she’s a farmer too. 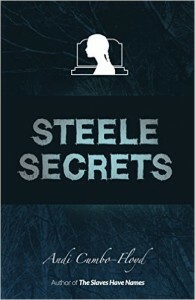 Her new book, Steele Secrets is releasing on February 9th. 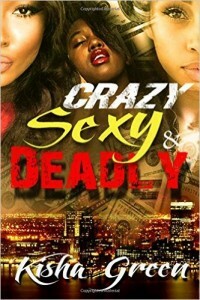 Be sure to pre-order your copy on here or her website. I was blessed to interview her back in 2013 (you can read the interview here). Today she visits again and writes about what makes a good story. I read a lot of novels. . . . from “literary” fiction to Young Adult fiction to cozy mysteries – I love a good story, and I have no desire to be picky about the labels I choose my reading from. A good story is as good story is a good story. Admittedly, each of us is going to have our own definition of what makes something a good story. Some of us like setting to be prominent with the streets and trees, time period and geography guiding us to deeper understanding of the storyline. Others prefer characters who are likeable, who take risks, who struggle openly on the page. Book preferences are like shoe preferences – there’s no right and wrong, just taste. But I do think some characteristics are universal across all the good novels we read. Not the vampire ones (necessarily) but something that could be lost. . . from a relationship to innocence to treasure to life itself. If the characters can’t be a risk to lose something, then we probably aren’t going to care. Recognizable Experience. Many of us love to share this quote from Shadowlands, the film about C.S. Lewis – “We read to know we’re not alone.” That’s totally true. We want to see ourselves on the page. New Experience. The flipside of reading to find ourselves is the fact that we read to learn. We learn about different cultures, different situations, different time periods. A good book can help us relate to the characters even as we gain new perspectives. Appropriate Pacing. A novel can move really quickly or very slowly, and both are great. But the pacing has to be fitting for the story itself. A story of a lifelong friendship will probably be paced more slowly, but a suspense thriller will probably move quickly. . . the irony is that a long timescape often has a slower pace, and a shorter timeframe moves more quickly. Consistency and Clarity. The bottom line is that no matter what sort of novel, it should be consistent within itself. We’ve all read novels where the pace or setting or point of view change for no clear reason. . . those are the novels we usually put down. So if you prefer a legal thriller or a psychological exploration, a supernatural travail or a basic romance, the basics of a good novel are the same. . . it needs to keep you invested, engage your emotions, and insure that you are never lost within the story. I’m off . . . I have a vampire/werewolf mystery to finish. What kind of novels do you love? What makes a good novel for you? 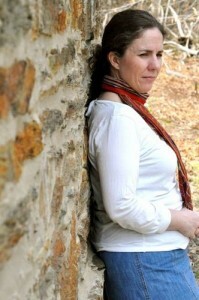 Andi Cumbo-Floyd is a writer, editor, and farmer, who lives at the edge of the Blue Ridge Mountains with her husband, four dogs, four cats, six goats, and twenty-three chickens. Her new novel Steele Secrets comes out on February 9. You can connect with Andi at her website –andilit.com, or on Facebook — Twitter — LinkedIn. It is the urban-lit classic that breaks all the rules. It introduces a player who will use any means necessary to dominate the streets-and beyond. There isn’t an angle he can’t work or a woman he can’t seduce. And it’s taken Bernard James, Jr. aka Dutch, no time at all to turn an African drug lord’s stolen heroin business into the East Coast’s most feared drug empire. And there’s no shortage of enemies vowing to take him down, including a vengeful Mafia heir, an ambitious DA and a conscience-stricken former friend. But none of his enemies can stop what they can’t see. And Dutch has everyone right where he wants them in the end. With his life on the line, and the face of the enemy in everyone he sees, Dutch plays the game and scores a winning hand in the face of all that betrayed him. 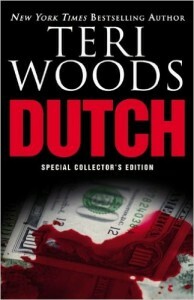 But, there is one woman Dutch just can’t resist who will shake his ice-cold control to its core. And it will be the one betrayal that he never sees coming that will put more than he ever imagined at risk. Dutch by Kwame Teague is a street classic. The main protagonist, Bernard James, goes by the name of Dutch, moves up the ranks by first stealing cars with his crew. He gets caught and thrown in jail on his first major heist at the port, and swears to never return to prison again. He devises a plan with his crew to go after a major kingpin who everyone feared, that’s until Dutch discovers his weak link and kills him. After he kills him, he pays a visit to the Italian mafia, and presents them with a surprise. The leader is convinced Dutch is ruthless, and decides to reluctantly agree to his proposition of working in collaboration with him. It was then that Dutch becomes the most feared man on the streets. Unfortunately, this didn’t last for long because many were not happy with the arrangement, and that’s when things took a drastic turn for the worst. The next thing Dutch knew he was on trial for crimes he allegedly committed. Kwame Teague is a creative genius and gifted story teller. This book read like a movie. To me, Dutch is the perfect gangster. All the characters were real, and the way the story was written kept you in suspense. The ending was shocking as it was explosive. If you want to get your first taste of urban/street literature, I highly recommend this book. Hailing from Newark, New Jersey, Kwame Teague is the award winning, critically acclaimed, and Essence #1 bestselling author of the street classic Dutch trilogy. His other novels include Above The Law, the Dynasty trilogy, ? (pronounced Que), The Adventures of Ghetto Sam and the Glory of My Demise and Thug Politics under the pseudonym Dutch. With a passion for writing, Kwame is always hard at work on his next novel. Has a gay man been chosen to raise the Daughter of God? Or is Adam Goodwin’s adopted daughter plagued by a benevolent delusion that threatens to undermine her global campaign for women’s rights? From the moment Adam Goodwin discovered baby Sera abandoned in Grand Central Station, they shared an unexplainable bond. Sera grows into a compassionate and charismatic young woman, despite Adam’s worries that she may have difficulty distinguishing fantasy from reality. Does her hypersensitivity to the suffering of others show compassion―or troubling obsession? Adam channels Sera’s growing fixation on gender inequality into uniting her army of social media followers to battle the worldwide oppression of women. But the encouragement he hoped would alleviate the symptoms of a possible mental illness only appear to make matters worse. The stress and success of her crusade seem to have brought on a mental break when she confides that she believes she is the female Messiah, sent to redress the injustices women face. With enemies of her cause multiplying, Adam must protect Sera from the threats they pose―and from the threat she may pose to herself. The story begins with Adam Goodwin grieving over the loss of his companion, Michael, and then finding an abandoned baby in Grand Central station. The baby was handed over to the authorities. But Adam couldn’t stop thinking about her, and wondered if she was ok. Being he’s an attorney, he did a little investigating and found her. He winds up adopting her and names her, Sera. He raises her as a single parent with the assistance of his brother Aaron, and three women who live in his building. Based on peculiar and unusual occurrences surrounding Sera, Adam became concerned she may be delusional, especially when she continues to speak of her friend, Sophia, whom he deems as fictitious or imaginary. After she graduates high school, she decides to take a trip around the world with her three friends. When she returns however, she doesn’t look herself. She had lost a lot of weight, and appeared frail, drained and exhausted. It all makes sense once she begins telling her father and uncle the types of things she and her friends experienced. After witnessing all that she had, she felt compelled to do something about it. She wanted to return, but her father suggested she start a blog instead. Her uncle Aaron helped set up the blog, and then she began writing the dramatic stories of the women she met. Little did any of them know, it would start a movement and result in thousands of young women following her on social media. However, things took a dramatic turn once she confessed she was the Daughter of God. Greg Hogben is a brilliant writer and story teller. My Daughter’s Army didn’t read like fiction for me. It carries a profound message and touches on serious issues. It opened my eyes to the tragic realities occurring worldwide. 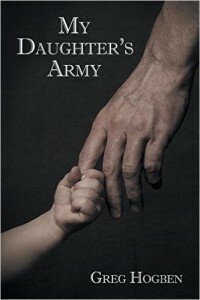 I highly recommend My Daughter’s Army and believe it’s an important book that should be read by everyone. Greg Hogben is a British author based in Washington DC. 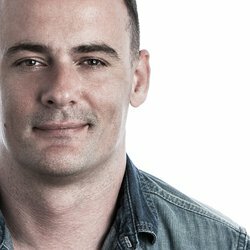 Greg is a human rights advocate with a particular focus on raising awareness of worldwide women’s rights and LGBT equality. 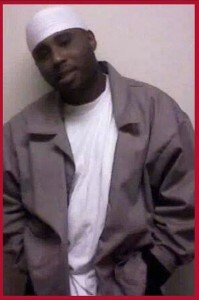 Follow him on Twitter and his blog with The Huffington Post. I had the pleasure of meeting Kaylie Jones at the Brooklyn Book Festival last September. I attended a panel where she, Terry McMillan and Dennis Lehane discussed their latest books. (You can listen to the discussion here.) I immediately connected with her. As you will see for yourself, she is not only a gifted and brilliant writer, but an intelligent, interesting, lovely and beautiful person. I am blessed, privileged and honored to introduce to you, the extraordinary Kaylie Jones. 1) When did you decide you wanted to write? When I was eight I started to write a novel in a school notebook. It was about a girl who runs away from home with her talking bear. I showed it to my father, who was very encouraging. He didn’t correct anything or give me advice, he just told me to keep going. I soon gave up, of course. He died when I was sixteen, a blow from which I will never fully recover. Soon after, I went off to college, completely directionless. The literary critics were very hard on my father and I felt I needed to understand where he stood in the canon of American letters, so I started to pursue the study of literature. I had a comp 101 professor, the writer Daniel Stern, who pulled me out of the class and told me he would work with me privately because I showed great promise. I was stunned; I didn’t believe him, but I applied myself to improving my writing. Really, all my stories were memoir in the guise of fiction. It wasn’t until my Junior year, when I was studying Tolstoy’s War and Peace, that I had a moment of enlightenment, a spiritual awakening, you might say. I was reading the death of Prince Andrew and realized that if a writer who’d lived more than one hundred years before me, with whom I shared no cultural experience, could write about the process of death and dying in a way that rescued me from my own grief, I thought – okay, this is what I’m going to do. I’m going to try to be a writer. 2) Was there anyone in your life who encouraged you? While my father was very sick and unable to leave the house in the winter of 1976-77, we read books together. That was one of the highlights of my last year with him. We read Faulkner’s A Rose for Emily, Hemingway’s For Whom the Bell Tolls and A Farewell to Arms. We read Bonjour Tristesse, by Francoise Sagan, and The Wanderer, by Alain-Fournier, his favorite French novel. He did not go into explaining the authors’ stylistic choices; he liked to discuss the characters’ choices and actions, as if they were real people who were making the decisions for themselves. We also read the poems of Edna Saint Vincent Millay and Emily Dickinson, with whom he was a little in love, I think. These writers helped shaped me not just as a writer, but I believe they shaped my moral backbone and helped me to stay on some kind of moral path after my father was gone and no longer there to advise me. I had fantastic writing teachers along the way. I often think of them as sages holding up lanterns along a dark path. In college, Daniel Stern was my first mentor. Later, I got into a very small and kind of elite writing workshop with a professor named Jack Paton, who was a veteran of WWII. He took issue with my father’s profanity and overuse of adjectives and adverbs. We would fight about it all the time! But I loved Jack, and he taught me to control my style, how to be precise and get my sentences down to their fighting weight. Later, I went to graduate school at Columbia, where I got my MFA. I studied with Richard Price, Edmund White, and Russell Banks. Can you imagine that good fortune? They were tough as nails, and I learned to listen to their criticism and advice. Richard Price gave me a thirty book reading list one summer, telling me that I was “too immersed in the classics.” He wanted me to read what he called “down and dirty” modern fiction. So on that list were John Reechy’s City of Night, Selby’s Last Exit to Brooklyn, Jim Carroll’s The Basketball Diaries, all of Toni Morrison’s works – many of the books that shaped him as one of our most important modern writers. 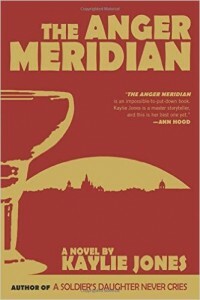 3) How did The Anger Meridian come about? I discussed this, philosophically, with my daughter, the way my father used to discuss characters with me. “I want to write a book about a woman who is pushed so far by her mother that she kills her, but it’s in a moment of passion, of rage.” My daughter, who was about seven at this point, offered advice. That following February, we were standing on the edge of a veranda of a big house overlooking a cliff in San Miguel de Allende, Mexico, where I was teaching a writing workshop with Beverly Donofrio, when my daughter said, “I know what you’re thinking. This is the perfect place for your character to push her mother off the cliff.” That was exactly what I was thinking and it was the beginning of the novel. But as the novel progressed, I became less and less sure that Merryn, my character, would be capable of pushing her mother off the cliff. So that is what the book is really about. What would be so awful that she’d find herself capable of such an act? Did she do it? Could she? Would she? 4) Bibi is an amazing character, how did she come to you? Bibi, the mother in the novel, is based on several women I knew growing up, including my own mother. Educated women who grew up in luxury and without a want in the world – beautiful, admired, adored by their husbands, friends, and children. Usually they did not have careers, and perhaps that is where their feelings of insecurity, anger, and restlessness came from. They were women to whom no one ever said no. This is a little bit like being a movie star, where a person becomes so famous that no one will contradict her. In a situation like this, where a person is so insulated by her own family and her money, that the real world is only a vague scrim in the distance, her children often become her hostages. That is what I was aiming to describe: a 40 year old daughter who suddenly finds herself in actual fact stuck, held hostage, penniless, and at her mother’s mercy. That is the dynamic that drives the novel. The added dimension is that Merryn, the daughter, has her own 9 year-old daughter, Tenney, whom she adores, and whom she wants to protect and honor. So it’s a constant battle of wills between feeling like she has to honor her cruel and narcissistic mother, or honor her own child. 5) What is your writing or creative process? Then, hopefully, I start to write. 6) What are some of your favorite books or authors? I still return to Tolstoy over and over again for style and form. No one shows characters’ feelings better, especially characters who are unaware of what they are feeling; at least, the reader becomes aware of their feelings before they do themselves. This is very hard to pull off. One of my favorite novels is Pale Horse, Pale Rider, by Katherine Anne Porter. I wish more people still read her work. I go to her for courage. Often I’ll turn to Flannery O’Connor’s short stories for technique and precision. I especially love O’Connor’s imagery and the way she anthropomorphizes objects in her descriptions. I love that she has such despicable characters that are still fascinating. John Cheever still inspires me and helps me to hone my craft. I fear our literature has become too obvious – white hat/black hat for the good guy and the bad guy. If only life were so simple! Recently I took Ann Patchett’s State of Wonder with me to China while I was studying Kung Fu with Shaolin monks. I love her writing. She kept me company as I struggled to keep up with the youngsters in the Shaolin school. I think she is a very important American writer. 7) Is a writer born or made? My friend Susan Cheever, John Cheever’s daughter, said something to me once that really stayed with me. She said, “Face it, we’re circus folk.” Meaning, if you’re raised in the circus, you learn to be a circus performer. If your mom rode elephants, you learned to ride elephants. I believe this is true for the children of writers. I’d say most serious writers were children who felt a great loneliness and isolation, and found solace, friends, in books. The next step is giving back, writing to reach out and communicate with others who may feel the same way. This is probably a romantic notion, but I have always thought of literature as my higher power. The thing that pulled me from my own pit of despair and chaos. 8) What did you personally do to perfect your craft? I never stop reading, studying sentences, studying writers. In an interview John Irving once said that he was never able to read for pleasure again once he became a writer, because he was constantly trying to figure out how the writer did something in the book, something technically spectacular. This made me laugh because I do the same thing. One of my former students recently discovered Cormac McCarthy. I get texts and emails from him almost daily, quoting Cormac McCarthy and asking my opinion on how in the hell did McCarthy do this or that? Again, I laugh. This is how real writers think. Someone who tries to take the sentences apart to understand how the author did it. Which, of course, takes the element of magic, of unconscious inspiration, out of the equation. And that’s the part we can’t really account for. What my dad used to call the 10% magic part. 9) What do you like the most and the least about writing a book? I hate a blank page. That feeling of heart palpitations and sweaty palms as I sit down to start. What I hate almost as much as that is my inner censor/critic, who tells me I have no right to write, and that I’m a vain and egotistical person to think I have the right to sit down and express myself. It’s taken me years to silence that voice, and bring it to the fore only in the final editing process. 10) Lastly, what advice would you give to an aspiring author? I think learning when to silence that inner censor is a crucial part of being able to be creative. When to bring that critic out and when to keep him/her locked away. It is very easy to become discouraged as a writer. One of the most important aspects of becoming a writer is finding a supportive community. Whether this is in an MFA program or among other like-minded writers, I think a writing community is crucial. I don’t mean a wife, husband, brother, sister, or best friend who says, “This is awesome!” I mean a serious reader who will give you honest and intelligent feedback. Also, if we don’t take criticism personally, it really helps. I love the term “Literary Citizenship.” I believe it was coined by my friend, writer Lori May. Jim Warner, the poet, often uses it to describe a writer’s willingness to share, and to offer advice without assassinating another person’s work. And doing what we can to support each other without competitive jealousy. Many years ago I made the decision to help other writers whenever I could. I have tried to live by that rule ever since. KAYLIE JONES has published seven books, including a memoir, Lies My Mother Never Told Me, and her most recent novel, The Anger Meridian. Her novel A Soldier’s Daughter Never Cries was adapted as a Merchant Ivory film in 1998. 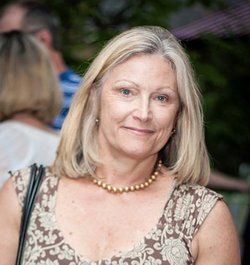 Jones has been teaching for more than twenty-five years, and is a faculty member in the Stony Brook Southampton MFA in Creative Writing & Literature program and in Wilkes University’s MFA in Creative Writing program. She is the author of Speak Now and the editor of Long Island Noir. Her newest endeavor is her publishing imprint with Akashic Books, Kaylie Jones Books. You can follow Kaylie Jones on Facebook and Twitter. Happy New Year! I don’t know about you, but I was glad to kiss 2015 goodbye. 2015 was a difficult and challenging year for me. It wasn’t all bad, as there were a lot of good moments. I learned a great deal about myself. Growth doesn’t always feel good though. It reminds me of growing pains we experience as a child; it hurts like hell. However, we have to embrace the pain to grow. If not, we will remain stagnant and complacent. Pain tells us something is wrong, and needs to change. It pushes us to reevaluate ourselves, our decisions and lives. It also allows us the opportunity to recalibrate and set new goals. For me, it’s not about making new year’s resolutions. It’s more about setting goals and sticking to them. Right before the start of a new year, I sit back and do an overview of what I’ve accomplished and didn’t accomplish. I analyze the things that worked and didn’t work. I do a complete assessment, and then I begin to think about my goals for the new year. What I’ve learned is a stumbling block for me is that I get distracted and lack focus. I also get tripped up on doing too many things at the same time, that I wind up not accomplishing a bloody thing! Does this sound familiar? I have several goals for this year, and they are all run along the same line. But what I need to be able to achieve them is the proper focus, dedication, discipline, perseverance, and persistence. My natural stubbornness needs to kick in. It really does come down to setting our minds on doing it, instead of talking about it. We have to set small, and realistic goals at first. If we set the bar too high, we won’t stick with it. If we set our goals in small increments, it won’t feel so overwhelming. The procrastination comes from being overwhelmed, it paralyzes us. This is why it is easier to do things in small increments and then build up momentum. This is basically how I’m going to approach my goals for 2016. What about you? 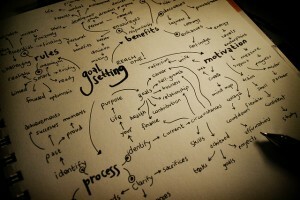 How are you planning to achieve and accomplish your specific goals for this year?